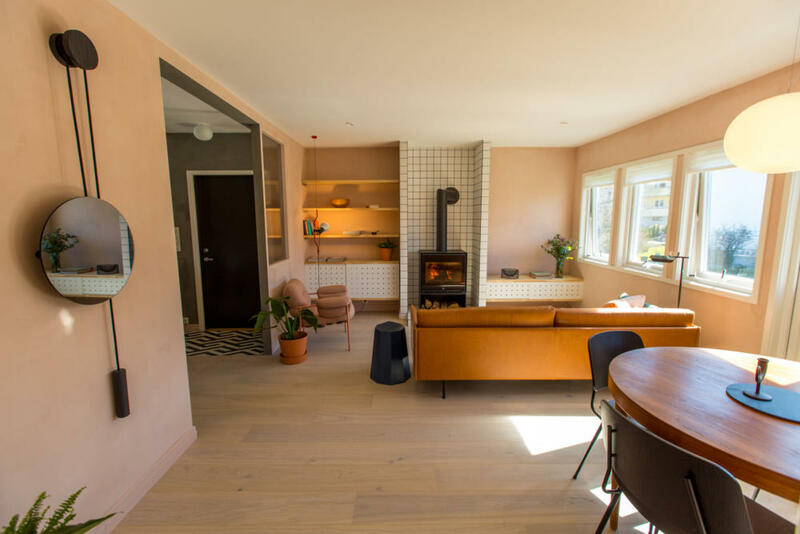 The layout was adjusted in this flat from the late 50's, a few walls came down to allow more light through and to connect the kitchen with the living room. We wanted to give a nod to the time the flat was built and introduced a range og materials found in post modern architecture such as fluted glass, and a select iconic mid century furniture pieces. 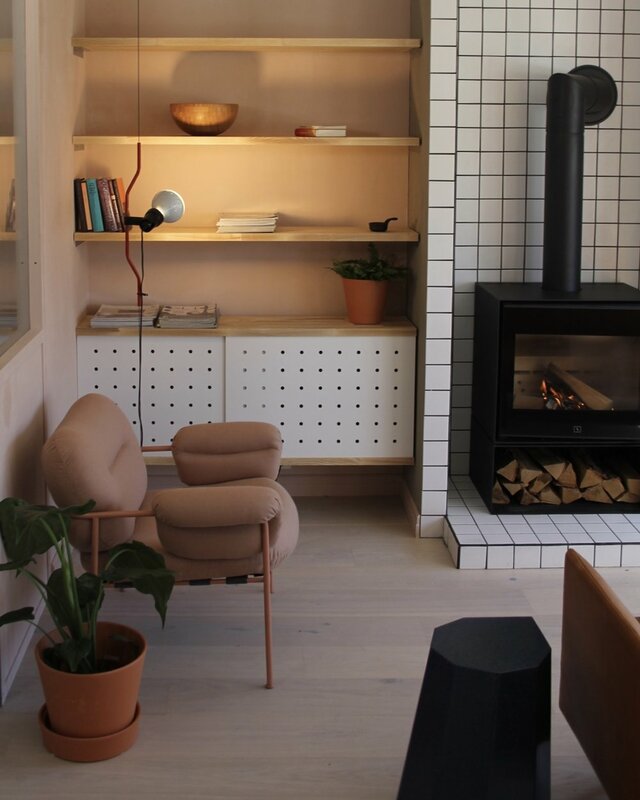 This was combined with contemporary Norwegian design pieces and a fresh colour palette. The client wanted to open up the space and create a connection between the living room and kitchen. We did this by installing a fluted glass divider between the roomes and using some of the same materials and colors in both rooms. 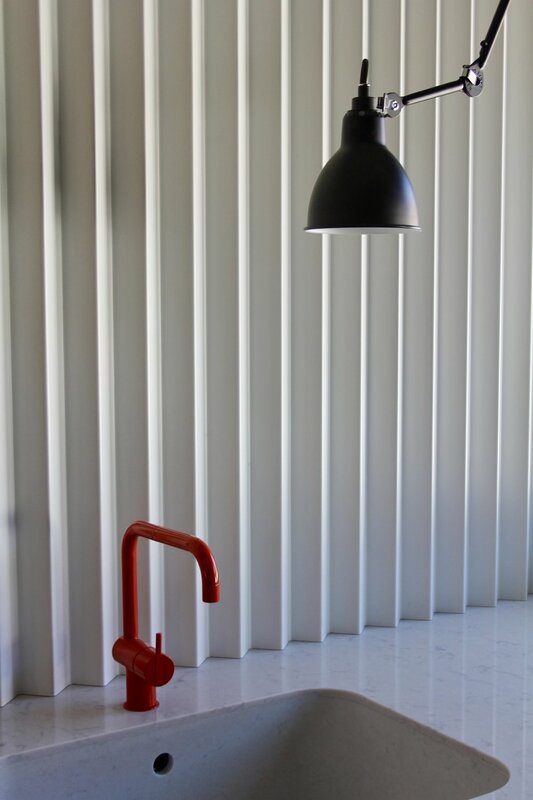 The custom made splashback in the kitchen was inspired by paper folding, and was made in powder coated folded metal. The entrance and corner of the living room has been divided by a window of fluted glass, allowing light to pass through. A fireplace was installed surrounded with white tiles, the same as in the kitchen, to protect the surrounding shelves and furniture. A custom made shelf and storage unit was created with perforated wooden fronts. 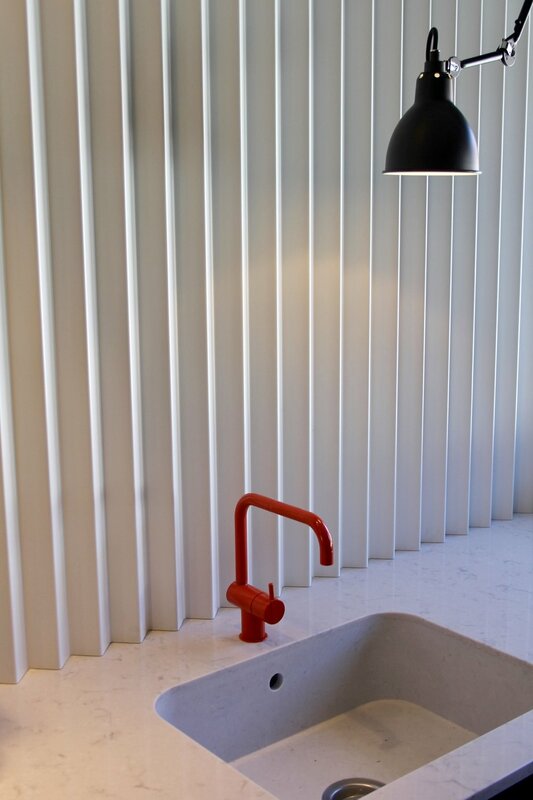 A white bespoke folded metal panel was created as a sink splash back. Bespoke shelves with a custom made folded metal splashback. 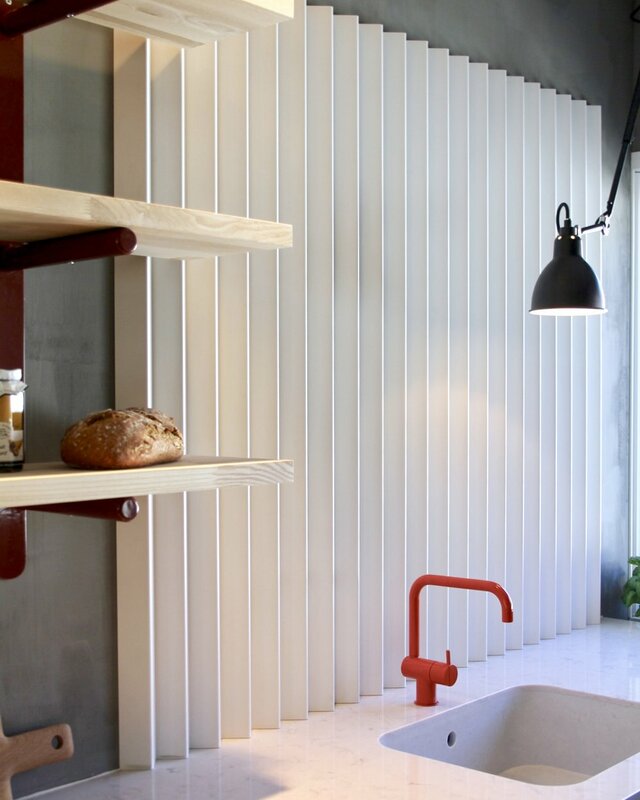 Fluted glass can be found in similar properties from the late 50's and were installed to allow light to pass through while separating the kitchen. Detail of folded metal splash back. As a nod to the time the flat was built, we sourced an original vintage Kai Kristiansen extendable dining table. Kitchen with the new layout. Living room before with the original fireplace. Living room after the new layout. Rise & Shine, Hunting & Narud for Newworks in smoked oak and solid cast iron. IIlustrations of the new design and development.